Can we start with the cover? It’s gorgeous! I love everything about it. It’s the first thing that made me want to read it. Beautiful! It also fits the story perfectly! As for the story itself, I am not sure how I feel about it. I expected a lot more to be honest. It had a great opening and immediately I fell in love with the idea of Verity falling for a bandit. I sort of knew that they would cross paths again, and my first thought was “now this is going to be a good romance.” Unfortunately, that is not where the story went. In fact, for more than half of the book Verity knows who the bandit really is, but doesn’t say a word. She befriends a group of rebels and right away she puts all her trust in them. Even if she questioned them, or their actions, she still went along with most of their little adventures and becoming a spy for them. 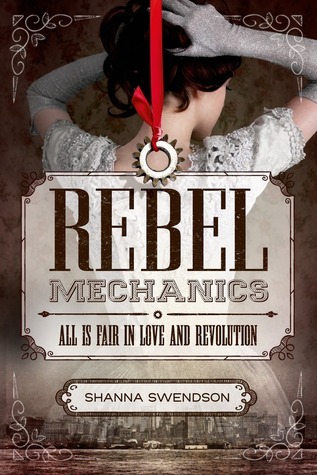 There is also a romance that blossoms between Verity and a rebel that, to me, didn’t feel real at all. I wasn’t buying it one bit. There was just no chemistry between the two.